Cosmic radiation is considered to be the main health hazard for humans traveling to the Moon and beyond. Away from Earth’s magnetic field and into interplanetary space, the impact on the human body could be up to 700 times higher than on our planet. 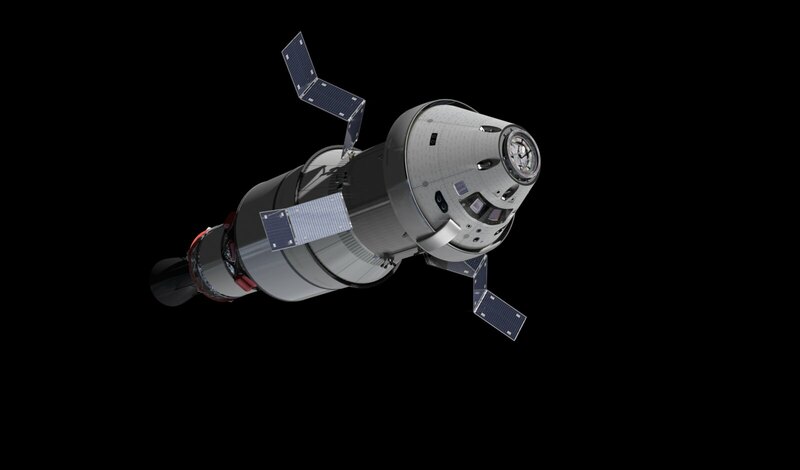 Radiation protection is a design driver for Orion. Space agencies, industry and researches are teaming up to reduce the radiation risks for a crew destined to go further than any human has gone before. 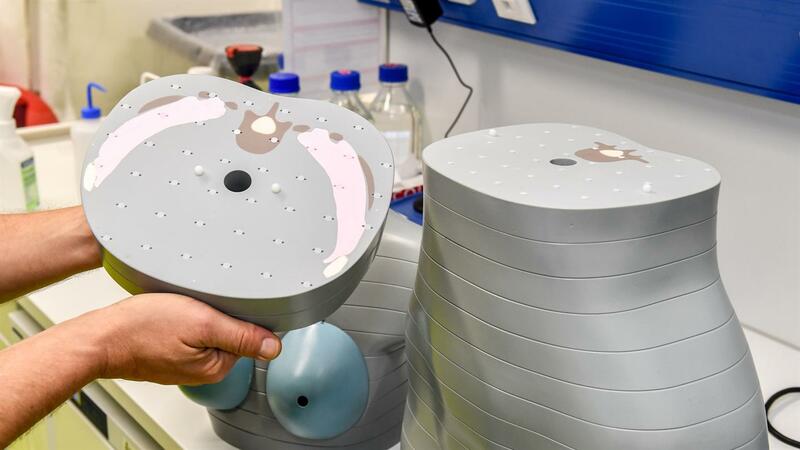 Helga and Zohar are two ‘phantoms’ that will endure the radiation dose of a lunar flyby to help protect humans from cosmic radiation and energetic solar storms. 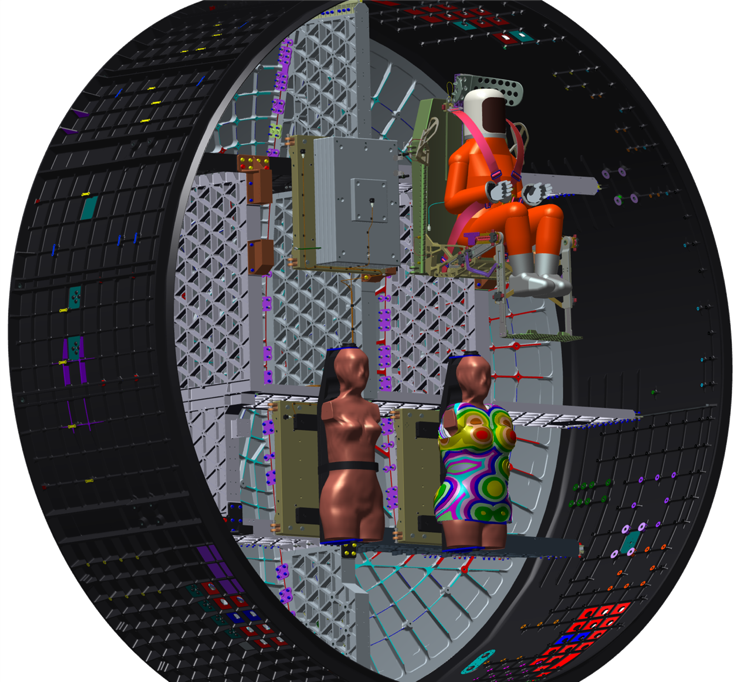 The dummies will occupy the passenger seats during Orion’s first mission around the Moon. We talked to Thomas Berger a radiation expert at the German Aerospace Center, DLR, and lead scientist of the Matroshka AstroRad Radiation Experiment (MARE) to discuss the science behind it. Question: How were Helga and Zohar born? Answer: The idea for a radiation experiment onboard NASA’s Exploration Mission-1 was born after a discussion with Razvan Gaza, from Lockheed Martin, NASA’S prime contractor for Orion. Razvan reached out to the space radiation community and inquired about possible experiments to increase the science return and help improve astronaut safety. Lockheed Martin was already working with a start-up company to develop the AstroRad radiation shield. After several iterations, we submitted a joint proposal with the Israel Space Agency, and in 2017 NASA granted us a flight opportunity as a research payload for Orion’s first mission around the Moon. Q: What are the challenges of building the phantoms? A: The two phantoms are anatomical reproductions of human torsos. Helga and Zohar have been manufactured from plastic materials to mimic the densities of bones, soft tissue and lungs. They are made up of 38 slices, and over 1400 small holes have been drilled to accommodate tiny radiation detectors that will map the radiation dose throughout the phantoms. The phantoms will also be equipped with newly developed active radiation detectors to map relevant radiation in organs and on the skin. In total, over 5600 passive sensors and 16 active radiation detectors will be placed in and outside each phantom. Q: Has anything similar been done to measure radiation on Earth? A: These phantoms are heavily used on Earth for cancer therapy treatment planning in hospitals. 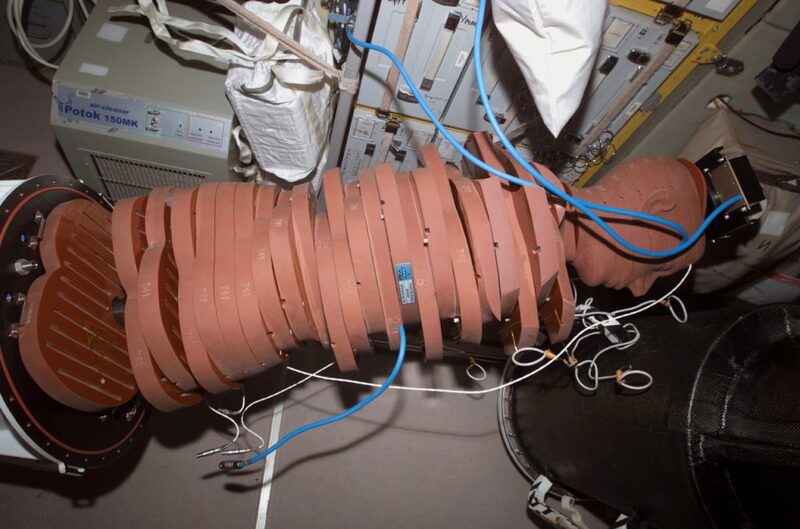 It is interesting to note that the radiation dummies used in space and for new cancer therapy facilities – protons and carbon ions – are quite similar. 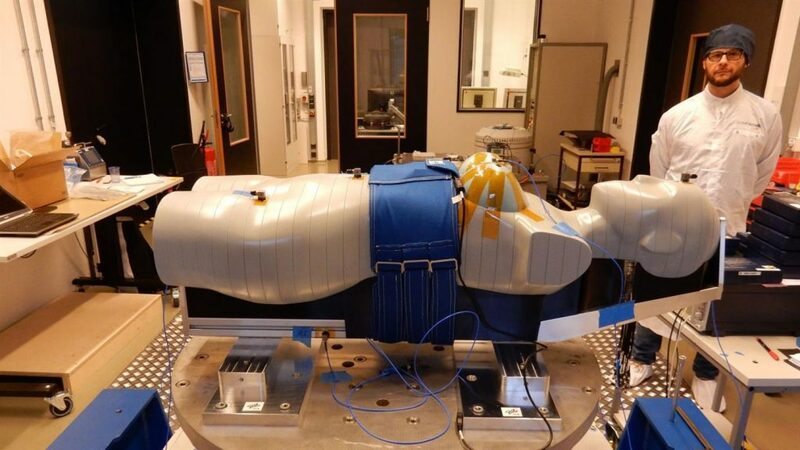 DLR has already worked to use a twin of the Matroshka phantom and its radiation detectors to quantify the dose applied during cancer treatment. Q: What are the main differences between Matroshka and these new phantoms? A: Matroshka can be seen as a precursor mission to the MARE experiment. Matroshka measured the radiation dose organs are exposed to in different locations inside and outside the International Space Station. Another difference is that Matroshka was a male phantom, while Helga and Zohar will be the first female phantoms flying to the Moon. Q: What is the radiation dose humans are typically exposed to on Earth, the International Space Station and near the Moon? A: The radiation dose onboard the Space Station is on average around 250 higher than on the Earth’s surface. When going into interplanetary space we lack the additional shielding provided by the Earth’s magnetic field and doses can be much higher – up to 700 times more! Q: What is the impact on the human body of long–term cosmic radiation and a solar particle event? A: We have to deal with two sources of radiation in space. The first one is the galactic cosmic radiation (GCR) – an overall “radiation background” modulated by the solar cycle. 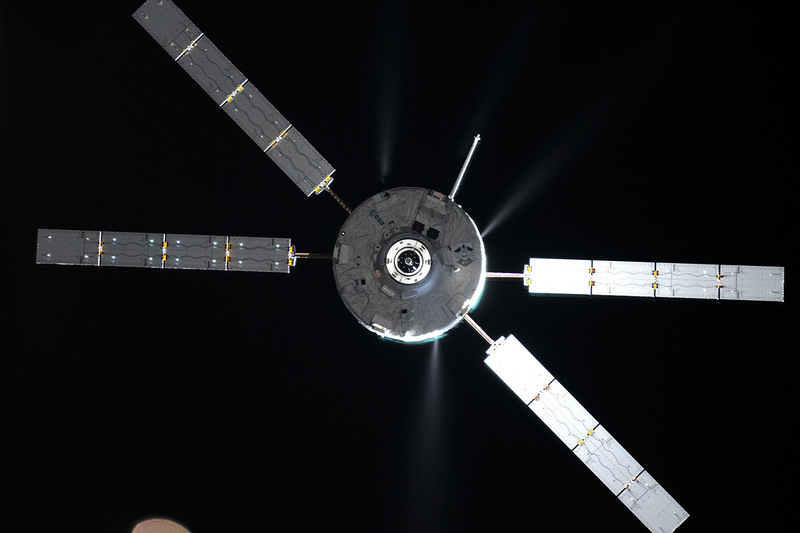 Cosmic radiation is always there, and it is also the main source of radiation responsible for a possible increase in cancer risk during long duration missions. The second source are the unpredictable solar particle events, or SPE. 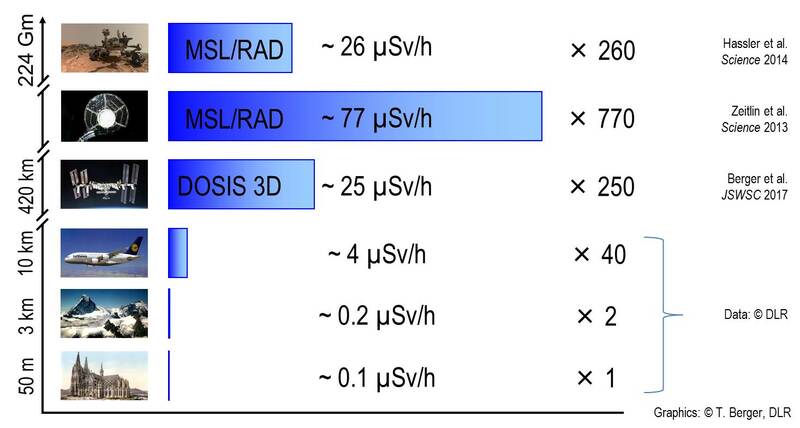 These events deliver a high amount of radiation dose in a short period of time, leading to so-called “radiation sickness” if there is not enough protection available. We would need a storm shelter within our spacecraft and additional radiation protection to protect astronauts from these virulent bursts of radiation. Q: What is the current status of the experiment? And what is next? A: Both phantoms are currently at DLR, in Cologne, Germany. We are working on prototypes of the structure that will attach Helga and Zohar to the seats three and four of Orion’s crew module. All the active radiation detectors are currently being calibrated and tested at the Heavy Ion Medical Accelerator Facility (HIMAC) in Chiba, Japan. These detectors will be later placed inside the phantoms’ simulated organs. Q: How is this international collaboration working? A: MARE is really an international endeavor. We have contributions from various space agencies (NASA, DLR and the Israel Space Agency) and companies (Lockheed Martin and StemRad). The project also has broad contributions from universities and research organizations from all over the world. 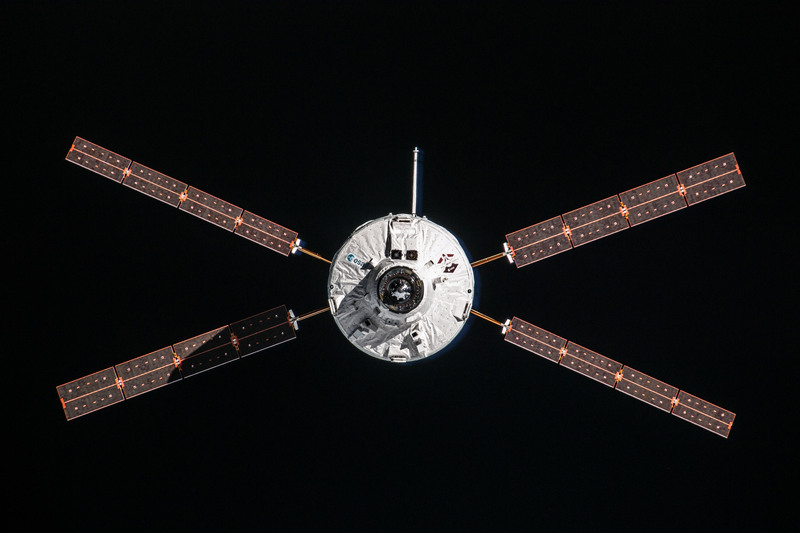 As an example, all the investigators participating with passive radiation detectors in the DOSIS 3D experiment onboard the International Space Station will also take part in MARE. The team will provide radiation detectors to monitor the skin and organ doses of the two phantoms. Q: How does this exciting trip to the Moon make you feel? A: Every time I look up to the Moon I am astonished and proud of having an experiment flying there to investigate the radiation exposure and gain a better understanding of the risks involved for future space travelers. This, together with the international collaboration behind the project, is certainly really cool.